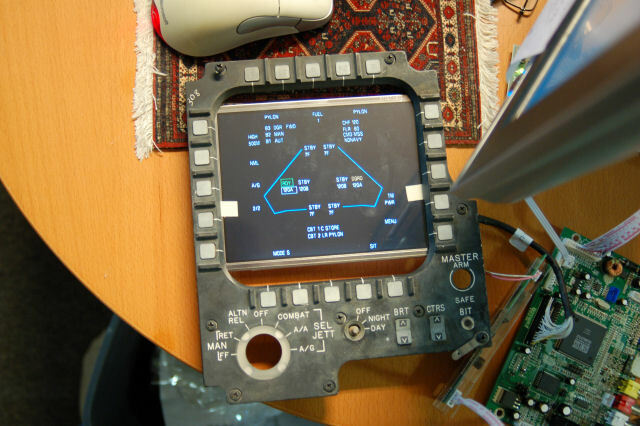 I rebuilt the MPCD that I have with a 7″ monochrome green VGA monitor. Within a couple of months of that feat (it’s not easy shoe-horning a “standard” CRT into the original enclosure!) I discovered that the MPCD is a COLOR display. Cue facepalm. You cannot buy a 7″ color VGA display for any amount of money. I’ve tried. Repeatedly. For five years. The original display is a 5″x5″ color vector tube and while I could find a replacement, they wanted $5000.00. EACH. Cue 2nd facepalm. I finally found a 6.4″ LCD kit from Earth LCD to the tune of $350. Painful, but no where near the pain of the original. So what I’m doing is replacing a 1:1 aspect ratio display with a 4:3 aspect ratio display that “mostly” fits. The important part of the real estate that the LCD covers is the 20 buttons that surround the frame. With a little adjustment, it properly covers all the space that they “occupy” on the screen. I’m going to place a layer of 1/16″ or 1/8″ smoked plexiglass between the LCD and the MPCD button collar. When the unit is enclosed, no light will enter from the back and you won’t notice there’s a huge air gap above and below the LCD. The original display had a resolution of 512×512. At 640×480, I’ll have the width I need, but I’ll be short 32 pixels (shy 16 at the top and 16 at the bottom for all practical purposes). This will make things a bit tight – there are some MPCD pages that are pretty dense, but I’m sure we’ll get it figured out. I am really impressed by your work on the cockpit !! which kind of reference do you use ? Thanks. I use the flight manual as my reference. 🙂 It’s not available outside the US however. You don’t you use a bigger monitor rotated 90°? The display is inside the original enclosure and there’s no room to rotate the CRT unfortunately. If there was, I would do as you suggest. Any chance you could send a copy of your version to my boss at Military Visualizations? 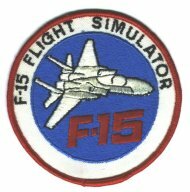 We are doing a F-15 for FSX and cant get any info on the ARMT page of the MPCD.